A good length hits just about right above the ankle. A frayed hem provides the perfect amount of distressing. Tuck your shirt in to show off a high waist jean. 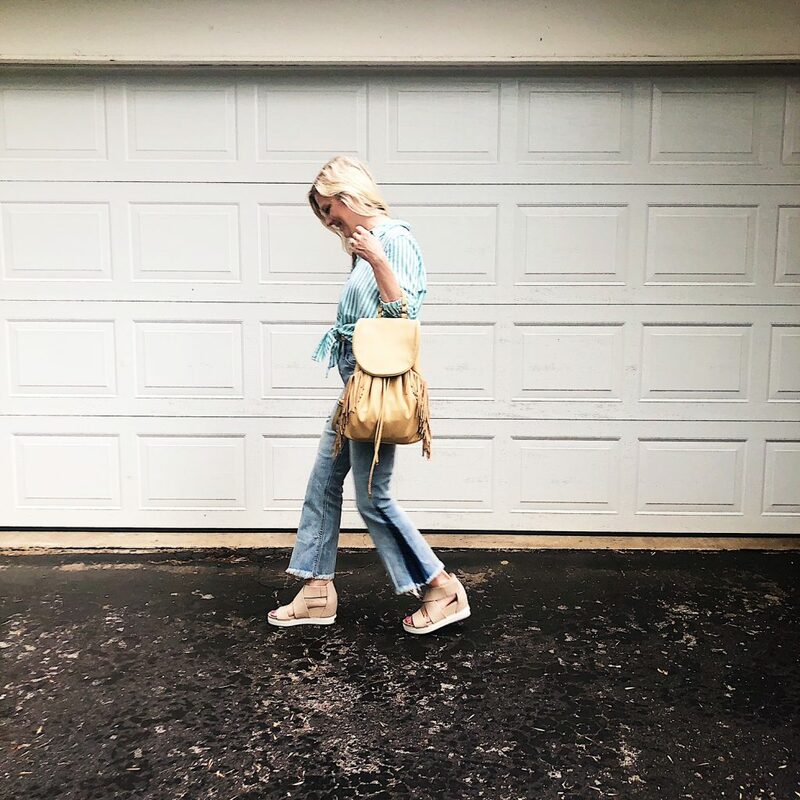 Mules with a cropped flare provide a chic look. I’m pretty sure “plain white tee” could be found in multiple places across my site if you were to do a search. What can I say, you just cannot go wrong! 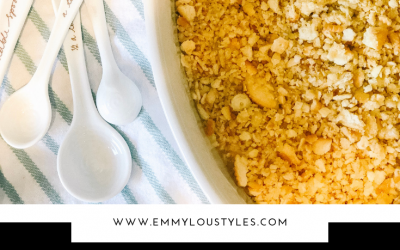 It’s definitely a summer staple, click here to read my post on this! Since I’m wearing a pair of high waisted cropped flare jeans, I decided to tie this tee in a little knot in back to show off the waist. A simple block heel is always a great option with this style of jean as well! This look is perfect for running a few errands. 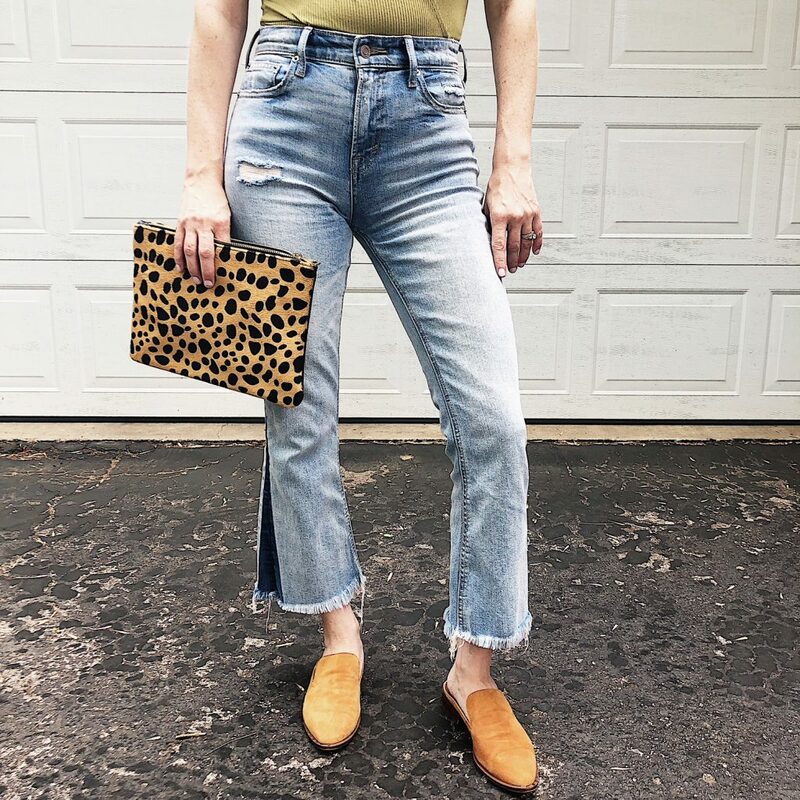 This bodysuit (comes in 4 colors, under $10) is a great option for flare jeans. A fitted tucked in shirt accentuates the high waist. 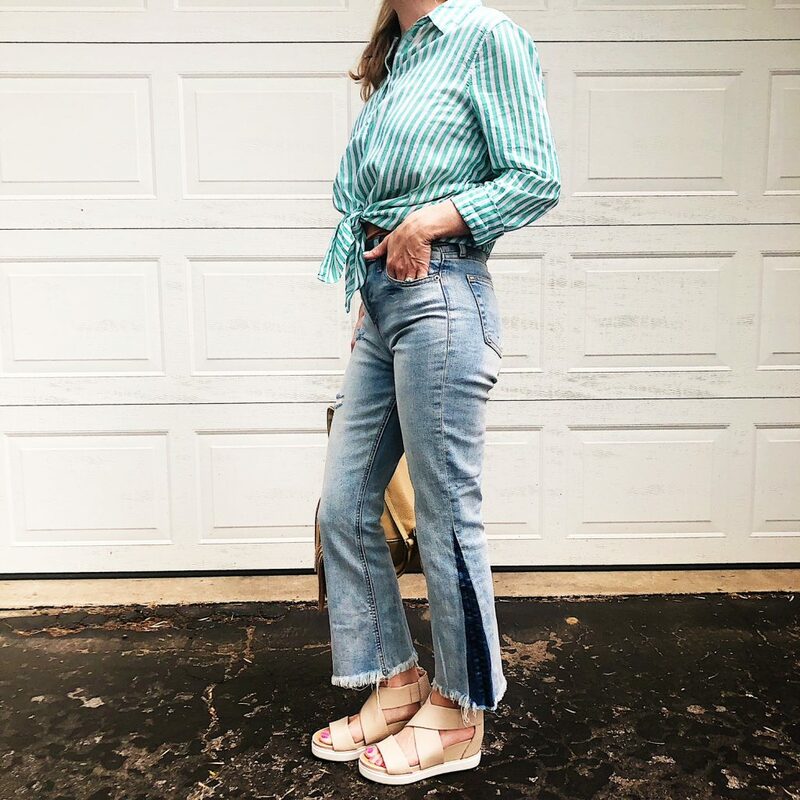 I love pairing these flares with some mules because it pulls the outfit together for a chic look. This would be a great option for date night! I love this option for a day in the office. You could tuck the collared shirt in, or tie in a front knot like I have here. 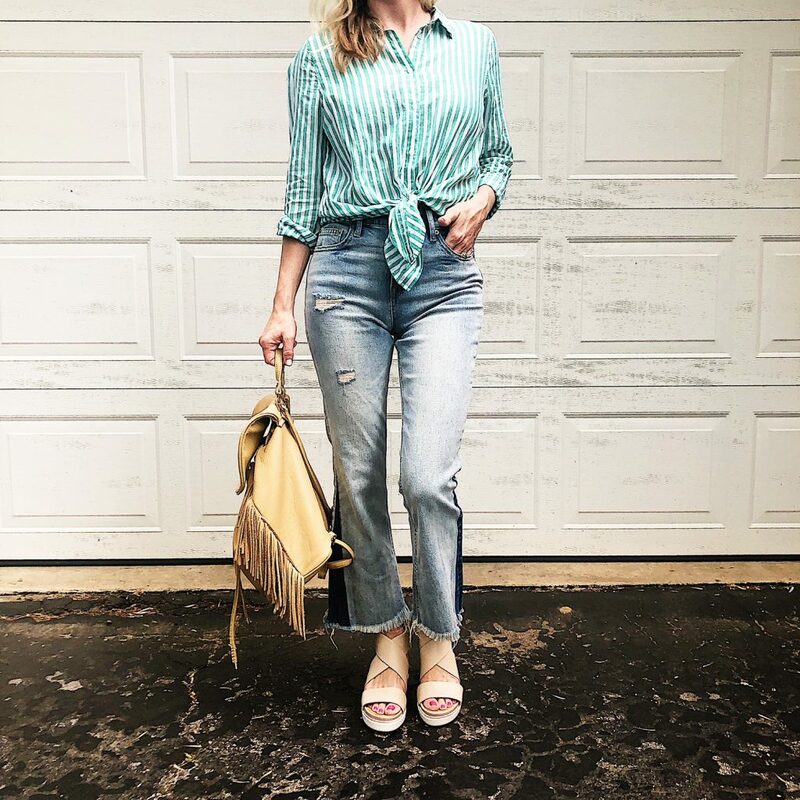 It’s casual, but still pulled together for the office and again allows you to show off the high waist. 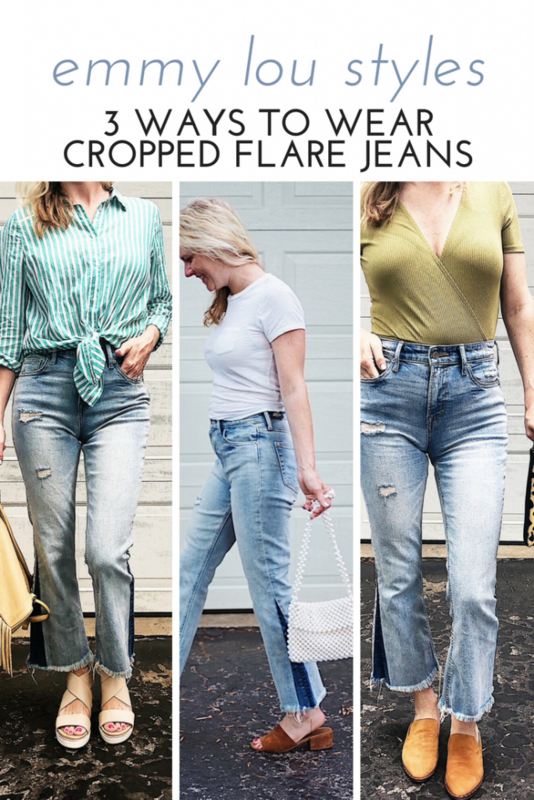 Shop these other great cropped flare jeans! What do you think? Is this a style you would try? Tell me below! 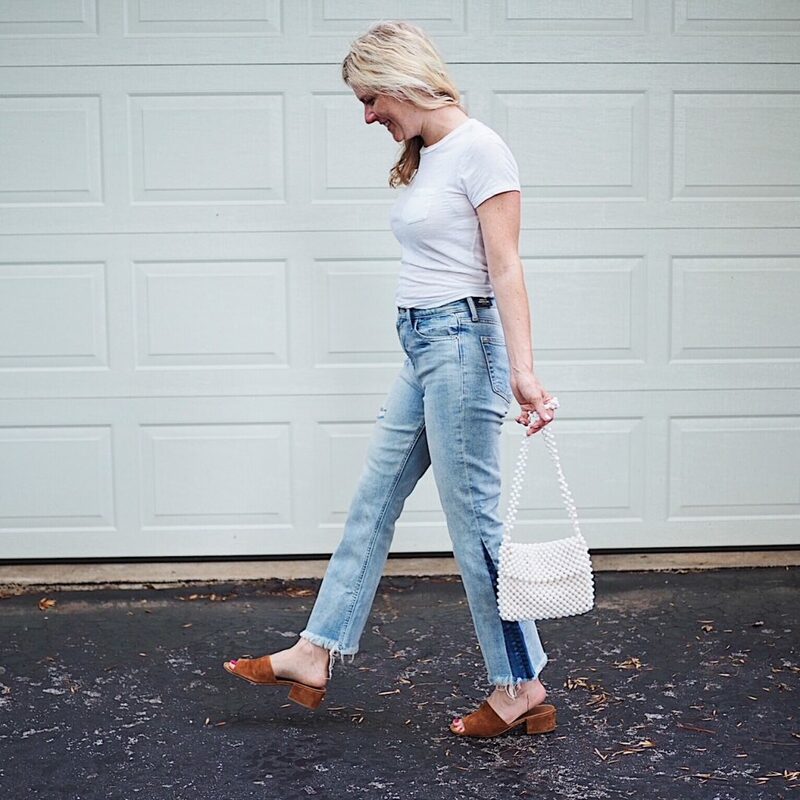 Check out this post on step-hem jeans!